Millets are being spotted on every menu in the town, on the shelves of every health food store and being discussed in every talk that veers towards health and nutrition. 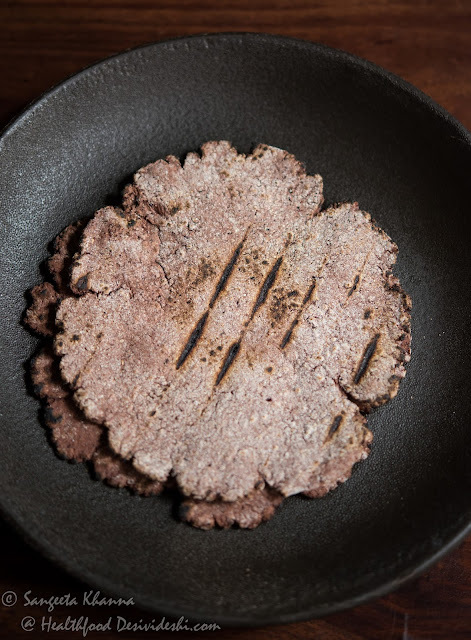 Millets and other alternative grains are the new rage when it comes to the ever changing health fads, only this one seems to stay for ever now, thankfully. I really hope the millets stay and don't become the victim of their own popularity. Most health fads that come and go are the creations of markets, to make some quick buck while it lasts, else why would one buy goji berries at exorbitant costs and ignore the wood sorrel and wild purslane growing in the backyard? The health conscious consumers feel good buying an expensive product and the seller smiles all the way to the bank, win win for both. While it is great that the millets are being grown and are coming to the markets abundantly, thanks to the organic and eco-friendly farmers who have turned to millets as a water efficient rain-fed crop in many parts of the country, it is important for the consumers and home cooks to eat millets in the most nutrient efficient way so it doesn't cause any harm to the health. 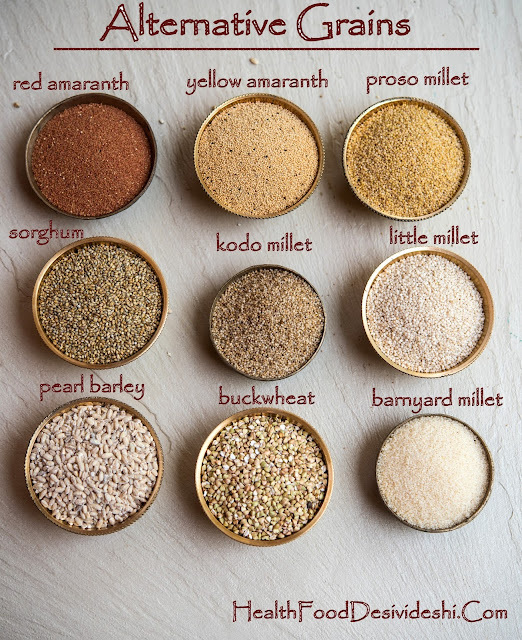 Having heard from many people who are turning away from millets already, after experiencing digestive distress and headaches etc, I feel we need to realise that the millets should not be considered as a replacement for the refined flours and polished grains we are used to eating. The most common mistake many home cooks and bakers are doing is, that they are replacing the refined flour with some millet to create cookies and cakes for everyday consumption, making them a staple food in addition to the regular breads and rotis. Moreover, the perception that millets are good makes one believe that they can eat large servings of the cakes and cookies and even the breads and that's where the problem lies. Most of us are already consuming way more grains than required, mostly refined, and when we switch to millets we keep on eating the same amount of millet based foods too which overburdens the digestive system as well as it stresses the system immensely, leading to a chain of minor health issues that leads to poorer health eventually. Poor digestion is the starting point of many health issues always. Large doses of millet based foods everyday can cause havoc to one’s health. The most common query I get is whether the millets are goitrogenic. They are not, but wrong ways of cooking millets and eating large amounts of millets can lead to thyroid suppression, as reported by many studies from the regions around the world where millets are staple food, rather the only food available to some of the populations studied. Rightly processed and well cooked millet meals are not goitrogenic. So what is the right way to cook millets and how much millets to eat? Are they good for everyday consumption? 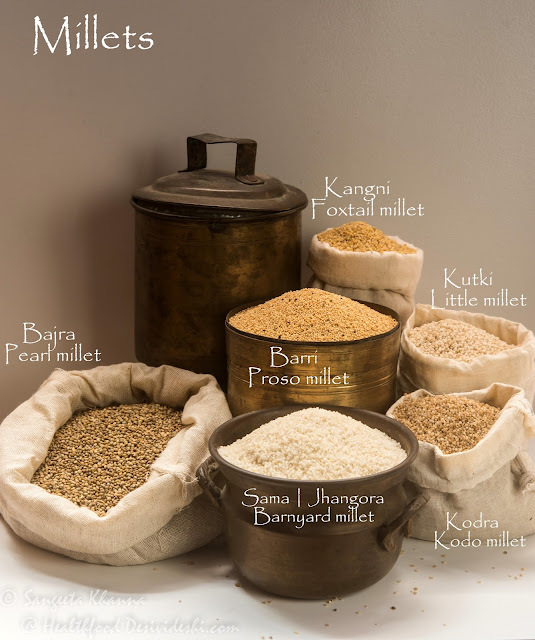 Millets are perfect choice of grains indeed. Here are some pointers about the everyday consumption of millets. A little goes a long way, most importantly. 1. 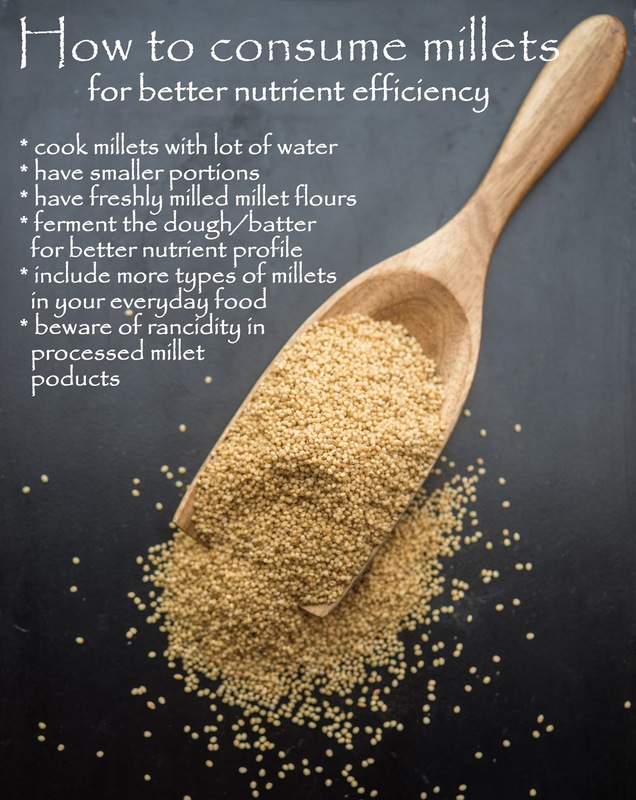 It is worth knowing that millets are nutrient intense and one needs them in smaller portions. 2. Millets are low glycemic grains and one feels full for longer duration even when one eats a small portion. 3. Millets should always be cooked with a lot of water, stock or other liquids, else they dehydrate the system and the essential nutrients are not absorbed well. 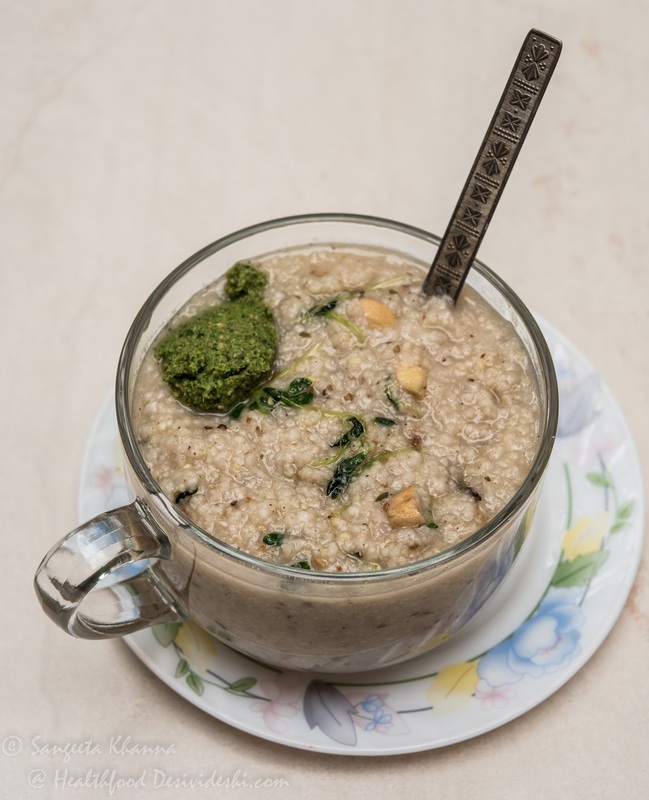 These grains should be cooked with 3-6 times water by volume to bulk up the meal, like in this millet pongal served with chutney and another mixed millet pongal that makes a healthy meal..
4. If you are switching your everyday rice with cooked millets like barnyard millets or foxtail millets, try and cook millets with a little extra water and use almost half the amount of cooked millets as compared to rice. You don't need them in large amounts. Even the roti made with millets is quite heavy so one needs a much smaller portion. Ragi roti or ragi thalipeeth are quite delicious and can be made light. 5. Beware of rancidity in millets. While whole millets stay good for years and decades, some like Amaranth stay good even for a century I am told, the hulled and milled millets get rancid really fast. Consuming rancid millet products leads to low grade inflammation in the body that affects overall health negatively. 6. If you decide to bake with millets it is better not to overeat those baked cakes and cookies. Gluten free millet based baked products may make one believe that one can eat a lot of it without harm but overeating millets based cakes is as bad as eating any other cakes. Add grated carrots, pumpkin, gourds or fruits to millet based cakes to make them lighter. Here are some crackers recipes made with different millets and whole grains. Ragi crackers and other millet based crackers are better if served with a nice dips. 7. 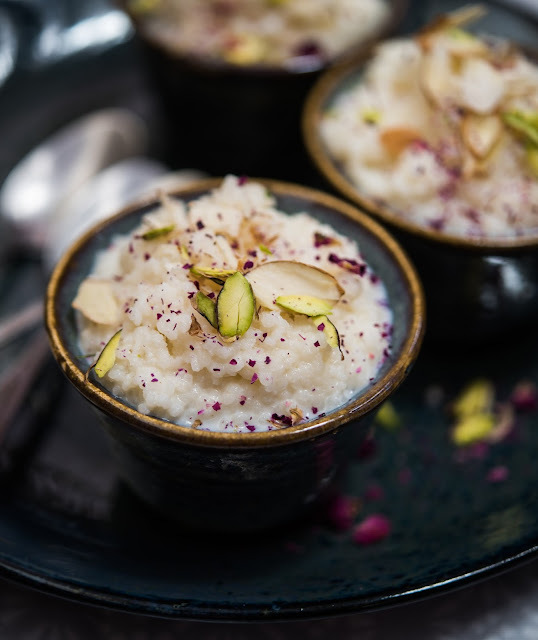 It is better to make kheer, payasam or puddings with millets as these are cooked with liquids that the millets soak up and make individual portions much lighter than cakes or cookies. 8. Beware of the commercially baked millet products as they are mostly made using either transfats or cheap vegetable oils. Unhealthy ingredients beat the purpose in this case. 9. Parched and puffed millets are great for making Indian namkeens but they should not be loaded with artificial flavours and cheap vegetable oils. It is better to make them at home if possible. 10. 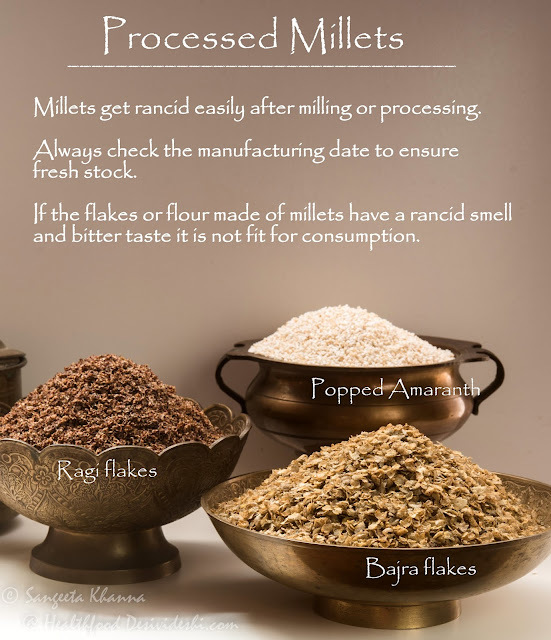 Some processed millet products like sorghum or ragi semolina, ragi vermicelli, bajra or ragi flakes etc are great to bring on your table but always be careful of rancidity in such products. If it smells rancid it is not fit for eating. 11. Fermenting the millet flour dough or batter is a great way to improve their nutrient efficiency. 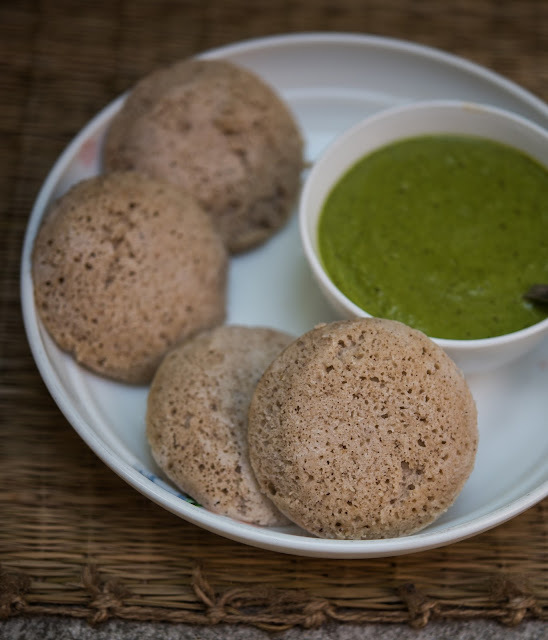 The idli, dosa and sourdough breads made with millets are nutritionally superior. Ragi dosa, multigrain dosa and ragi idli is our favourite since years. 12. Cooking the millet flour with plenty of water and mixing with yogurt or buttermilk also ensures better nutrient availability. 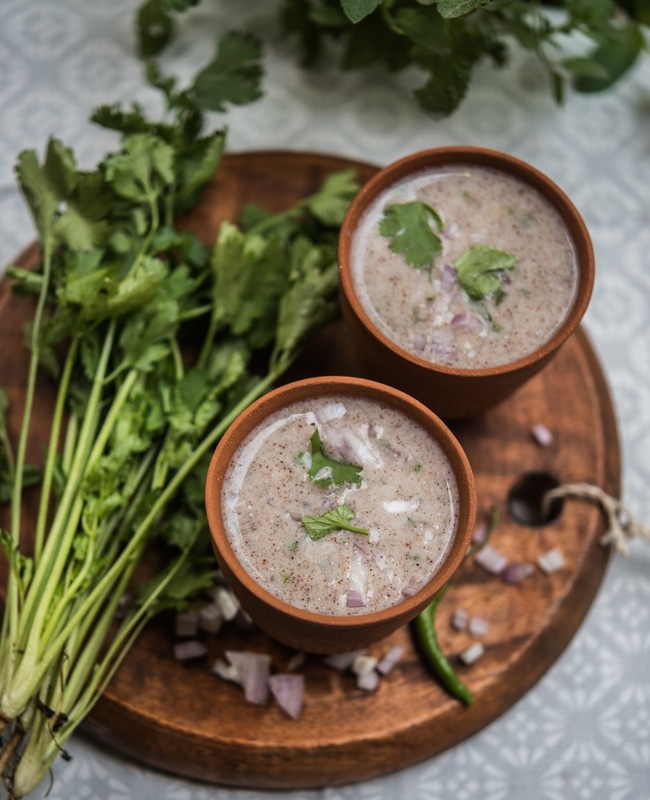 The jau ki ghat and ragi congee or porridge are great breakfast options for summer months. There are many more alternative grains that can be brought into our everyday diet. The key is to keep the rains intake divers and not treat them as all purpose flour and what flour or even rice. Each grain is different and cooks differently. Most grains are best eaten after sourdough fermentation so try baking sourdough breads and sourdough kulchas at home. Bringing variety into our food is always great, being informed about the sources and types of ingredients goes a long way in ensuring our health. 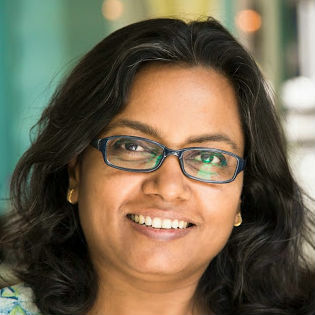 A short version of this article was written for The Hindu. You can read it here. Thank you so much for this post. Can you do a few recipes showing how to cook millets with North Indian recipes? Everything available online seems to be South Indian (dosas/upma), and while these are good, I am looking for variety in our diet as well (can't eat too much of fermented food). Any pointers on how millets are consumed elsewhere in the country would be very useful. Thank you so much. Thank you for commenting Nandi. I will try and post some north Indian recipes with millets. I do make some rotis and parathas but the recipes need to be shared I realise. Most millet recipes discussed here are derived from the traditional recipes from all over the country. Will try and share more.